With a background in language and literacy education, multimodal communication, and technology-enhanced learning (Ph.D. in Education, UC Berkeley), David conducts research and supports pedagogical innovation at Yale’s Center for Language Study. His background in Korean includes a Bachelor of Arts in Asian Studies, three years’ experience in the U.S. and South Korean nonprofit sectors, and advanced language study at Seoul National University’s Language Education Institute (언어교육원). He has taught Korean in the Korean Studies program of the Intercultural Institute of California, and tutored Elementary and Intermediate Korean at UC Berkeley. Further, he holds a Master’s in English with a specialization in Teaching English to Speakers of Other Languages (MA TESOL, San Francisco State University); this background informs his communicative and engaged approach in the Korean language classroom. Malinowski, D., & Kern, R. (2016). Limitations and boundaries in language learning and technology. In F. Farr & L. Murray (Eds. ), The Routledge handbook of language learning and technology. London: Routledge. 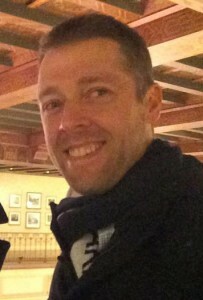 Malinowski, D. (2015). Opening spaces of learning in the linguistic landscape. Linguistic Landscape: An International Journal, 1(1), 95-113. Malinowski, D., & Kramsch, C. (2014). The ambiguous world of heteroglossic computer-mediated language learning. In A. Blackledge & A Creese (Eds. ), Heteroglossia as practice and pedagogy (pp. 155-178). Boston, MA: Springer. Malinowski, D. (2010). “Showing seeing in the Korean linguistic cityscape,” in Barni, Monica, Eliezer Ben-Rafael and Elana Shohamy (Eds. ), Linguistic landscape in the city. Multilingual Matters, pp. 199-215. Malinowski, D. (2009). “Authorship in the Linguistic Landscape: A Multimodal-Performative View,” in Durk Gorter & Elana Shohamy (eds. ), Linguistic landscape: Expanding the scenery, London: Routledge, pp. 107-125.